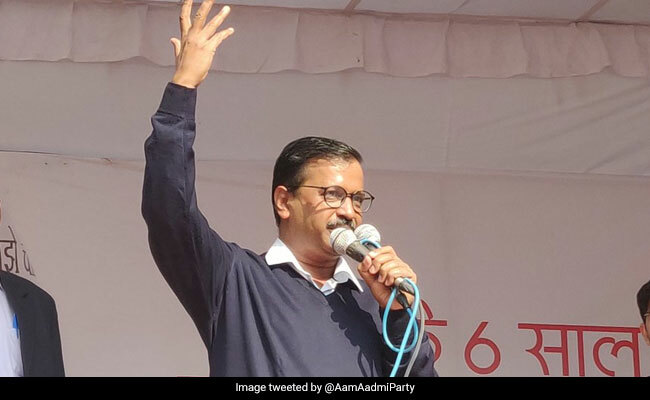 Hours after the Election Commission told the Delhi Police to investigate "misleading" calls over electoral rolls of the city on Sunday, Chief Minister Arvind Kejriwal alleged that the Election Commission has been turned into a BJP office, triggering a blame game between the AAP and the party. Delhi BJP president Manoj Tiwari demanded cancellation of AAP's recognition alleging that its volunteers were calling people, telling them that their names have been deleted from the voters' list and the party convener is getting them added again. Mr Kejriwal tweeted, "Ur ECs shud resign for converting EC into BJP office. Shameful Modi ji has subverted every institution. We will not allow BJP to succeed in its conspiracies." He also took a swipe at Prime Minister Narendra Modi, telling him not to involve the EC and the police in "wrong, dirty" acts, and said the country is much more significant than any party or individual. Mr Tiwari accused the AAP of "misleading" people and trying to create "unrest" in society. He tweeted: "Serious offence by a political party, who does not respect the constitution of India. Recognition of Aam Aadmi Party should be cancelled for misleading citizens and trying to create unrest in the society. Delhi Police must register Multiple FIRs and culprits should be penalised." The Election Commission on Sunday told the Delhi Police to take "necessary action" against people making "misleading" phone calls to people about the city's electoral rolls. On Saturday, Delhi's Chief Electoral Officer (CEO) had cautioned people about such calls claiming deletion of their names from electoral rolls. The poll official had made it clear that no one but the electoral registration officer can add or remove names from electoral rolls.